Note that eclipses are calculated at the time of the maximum eclipse, not the exact lunar phase. 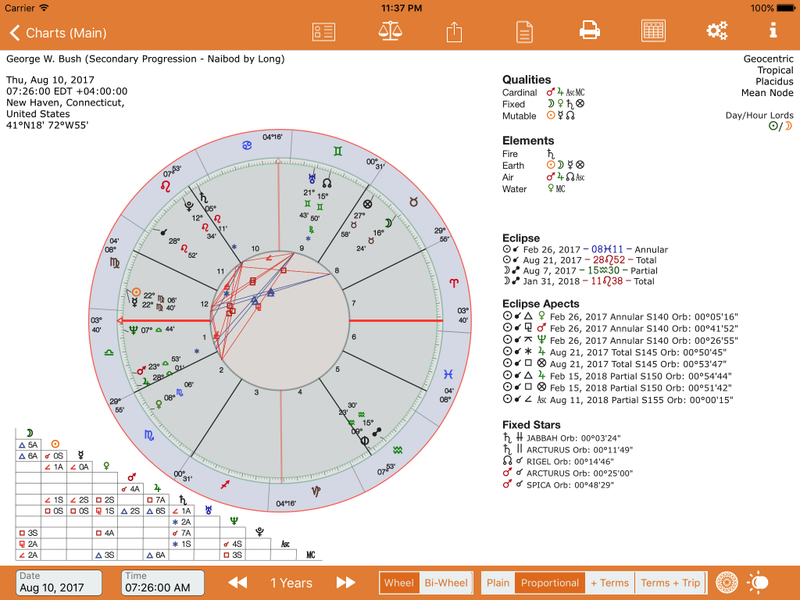 All times shown are UT. 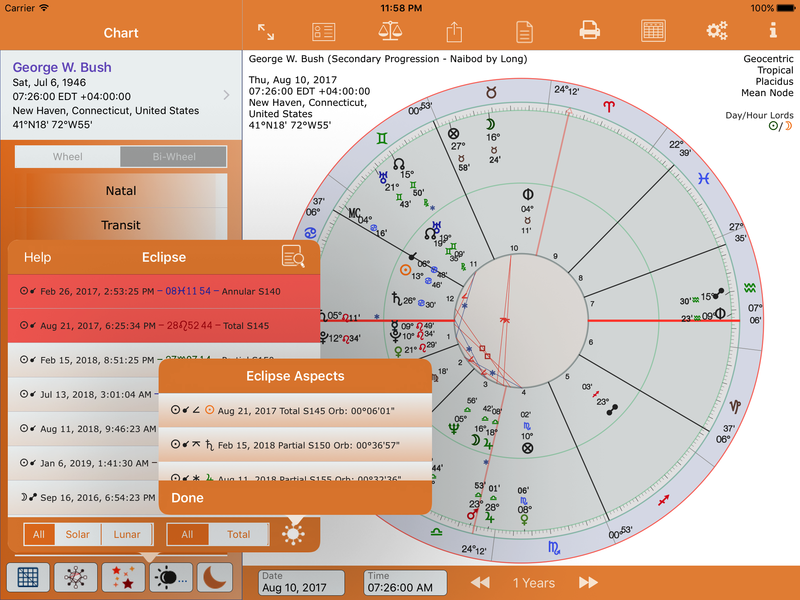 The only exception to this is when an Eclipse chart for the exact lunar phase is saved. However, the eclipse glyphs are still shown at the time of the max eclipse. 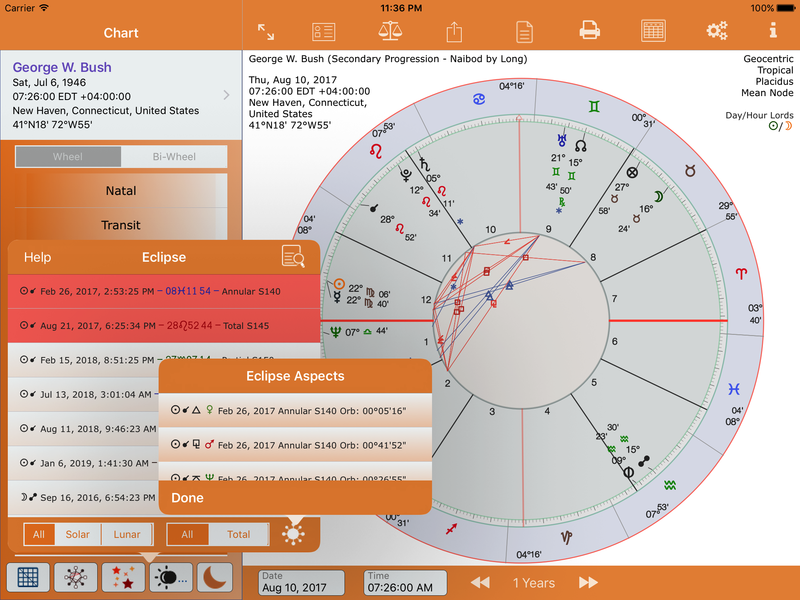 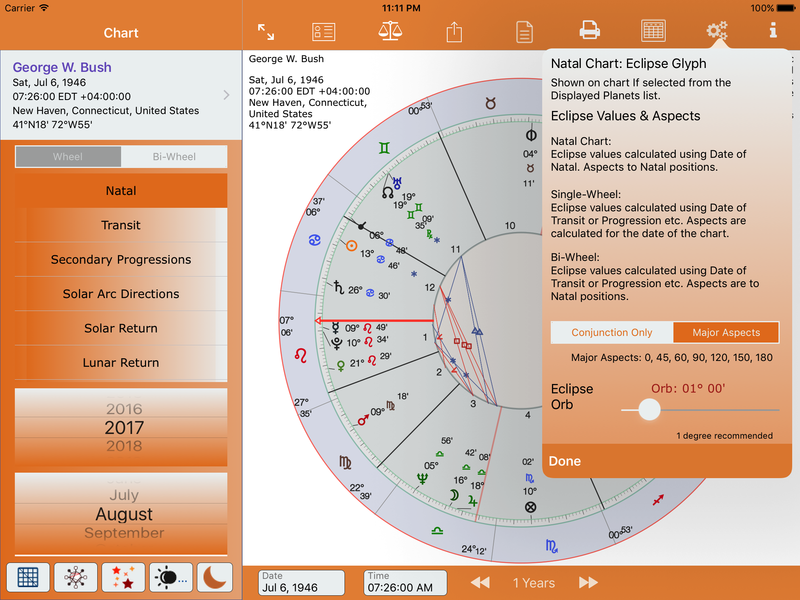 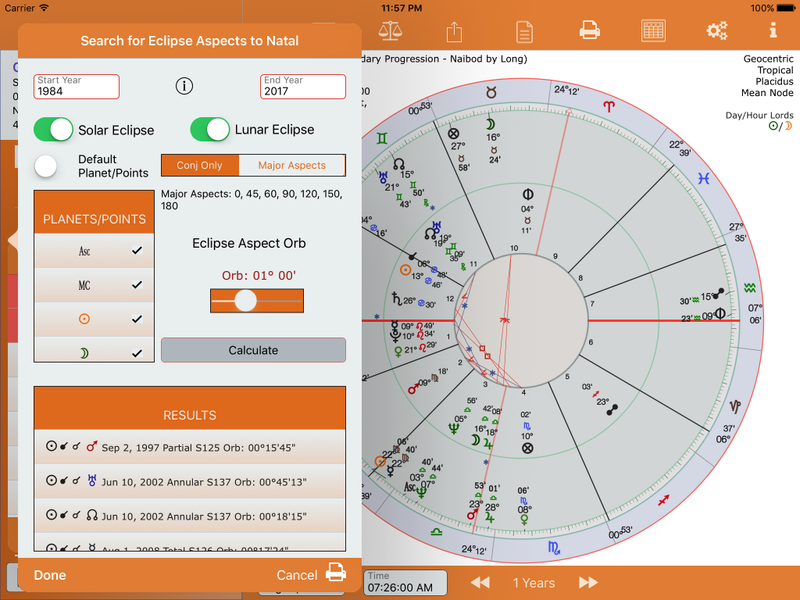 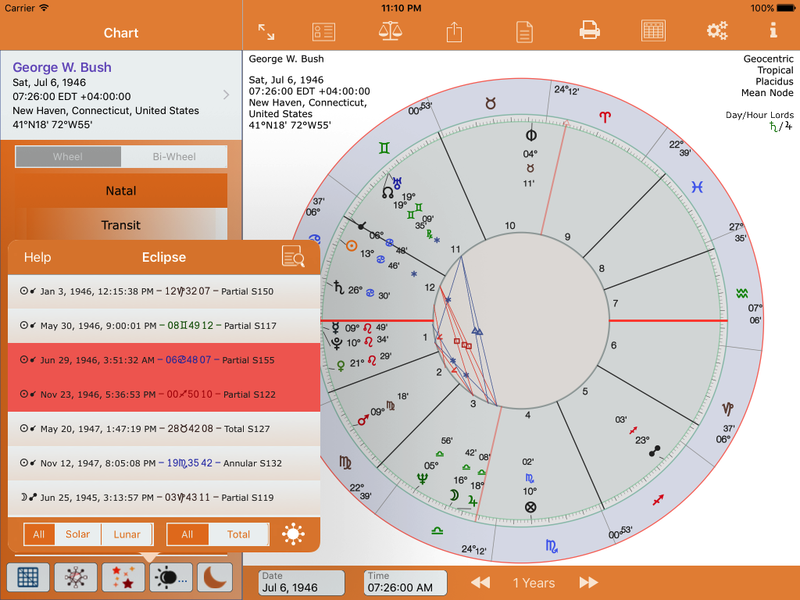 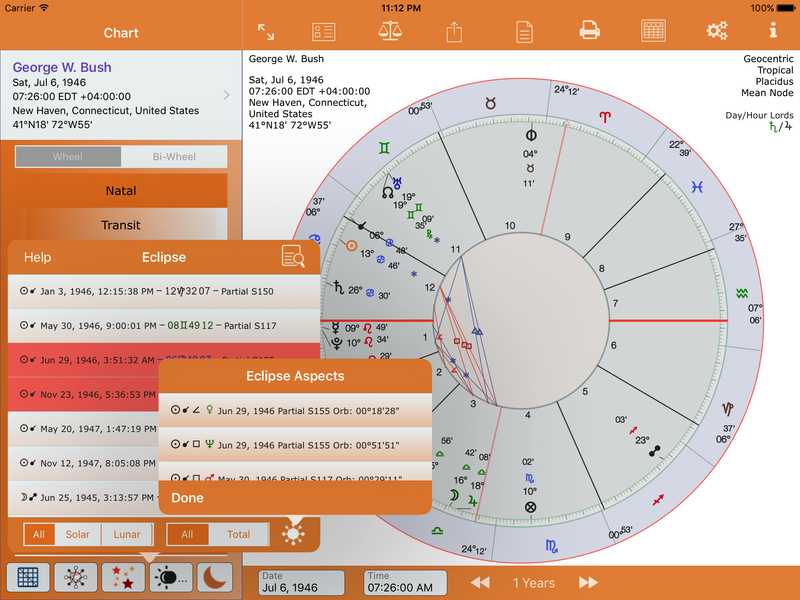 Eclipse aspect data is not available for composite charts. 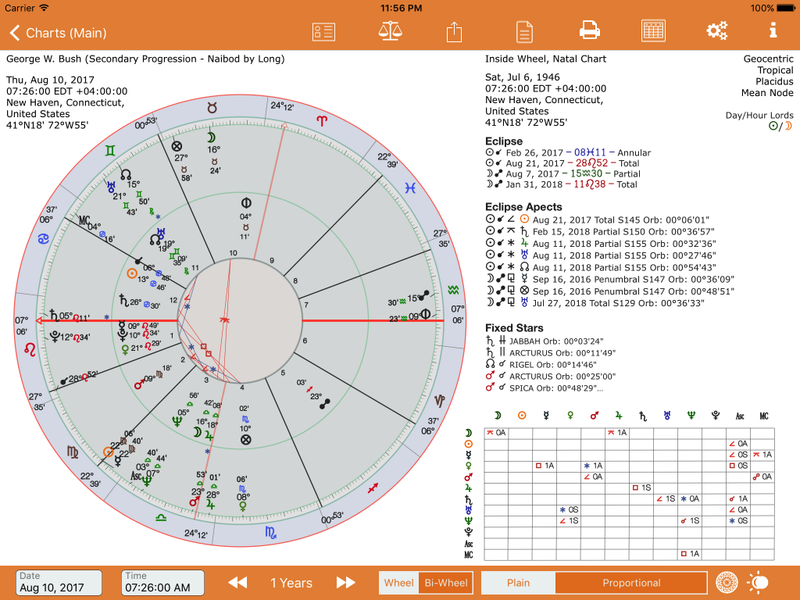 The individual charts should be examined for this data. Secondary progressed single-wheel chart View #2. Note that the eclipse positions for the secondary progress date of August 2017 for the single-wheel and the bi-wheel are the same. 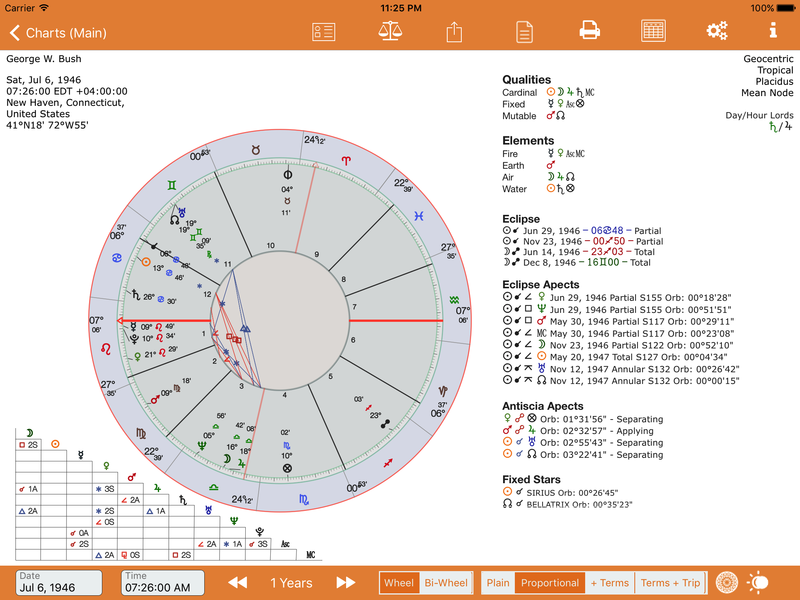 What is different is the aspects. Aspects to the secondary progressed single-wheel chart are to the planetary and positions therein, whilst the aspects to the secondary progressed bi-wheel are to the natal positions.